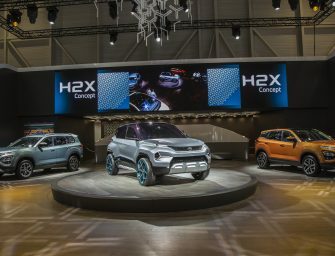 It all started with a man named Enzo Ferrari – who initially raced cars for Costruzioni Meccaniche Nazionali – a small-scale car manufacturer in Milan that built passenger cars out of used truck bodies. He was eventually promoted to being the race car driver and made his first debut as one in 1919. In 1920, Enzo joined Alfa Romeo as a race car driver which proved successful and made Alfa Romeo offer than man a chance in bigger competitions, until later on in 1925 when Enzo had a shiver run down his spine after the death of Antonio Ascari. After the birth of his son Dino in 1932, Enzo decided to call it quits with the racing division and instead, head the management and production at the Alfa Romeo factory. In 1929, he founded Scuderia Ferrari which was said to be a racing division for Alfa Romeo. Tazio Nuvolari was one among their most skilled drivers who raced in the Alfa Romeo P3. It was sometime during this phase when the Prancing Horse emblem had begun to rise on his cars. The famous logo we know it to be today had once been designed by late fighter pilot Francesco Baracca, who was shot down and killed during World War I. In memory of the pilot’s passing, Enzo decided to use the famous emblem which was first seen on a Ferrari in 1947. 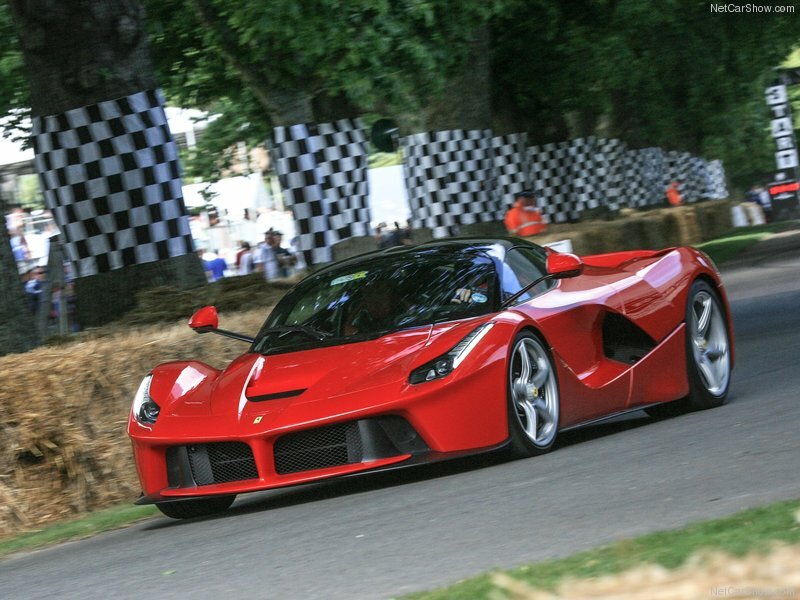 In this story, we’re going to highlight some of the best road and race cars that beared Enzo’s surname. Enjoy. This was the first-ever car to have been handcrafted by the Italian automaker, in Modena, Italy. When it made its debut on May 11th, 1947 – it was the first road-racer to bear the ‘Ferrari’ name. It featured a 1.5-litre Colombo 125 V12 that made 118bhp. It consisted of a single-overhead-camshaft design with 2 valves per cylinder and three double-choke Weber carburettors. Married to the motor was a 5-speed transmission. There were just two of the cars built and both were eventually dismantled with their parts being used in production of the 159 and 166 models. 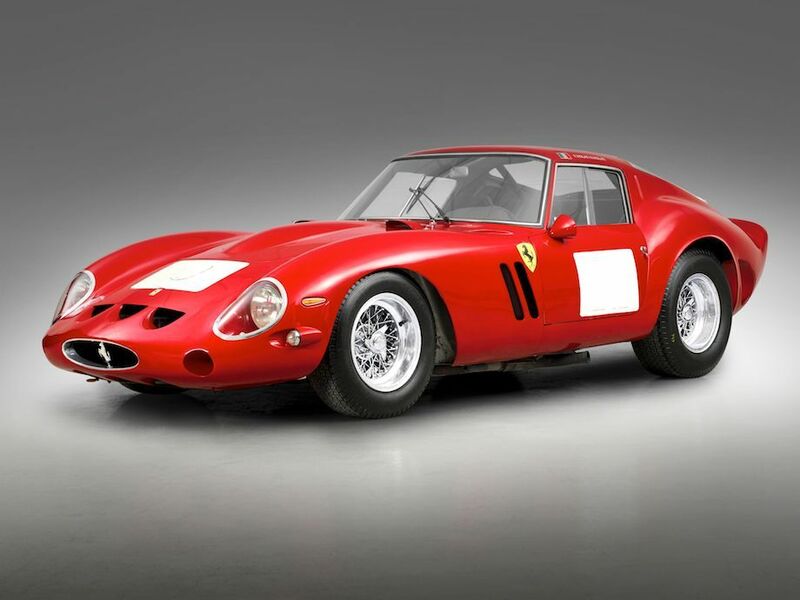 Quite possibly one of the most beautiful Ferraris in the world, the GTO has remained the poster-pinup for many a young boy. There were just 39 of these cars built from 1962 to 1964. It featured a 3.0-litre Tipo 168 Comp/62 V12, also used in the 250 Testa Rossa in Le Mans, and produced 300hp, linked a 5-speed dog-leg manual gearbox. It employed A-arm front suspension, rear live-axle, disc brakes and Borrani wire wheels. 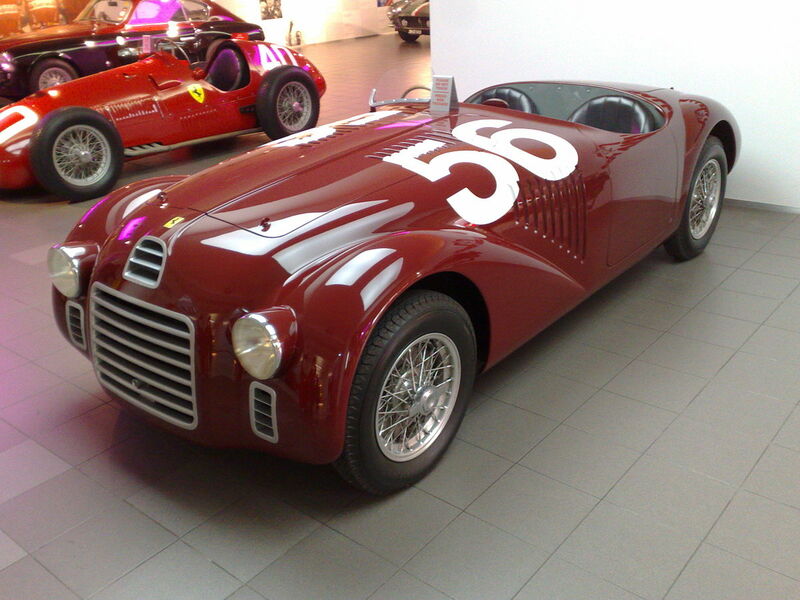 “Rosso Cina” was the most popular colour it sold in, with the bodies being honed by none other than Scaglietti. The seats were upholstered in cloth, and there was no way you could tell how fast you were going as there was no speedometer. The exposed metal-gate shifter set the tradition of Ferraris that were to follow. 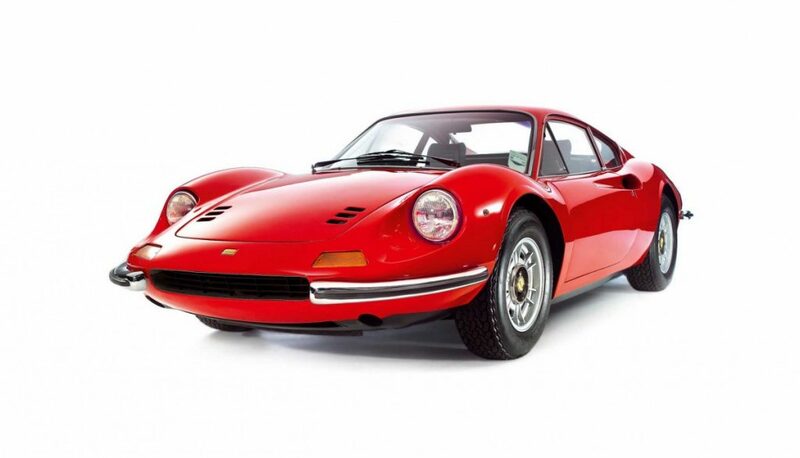 The Dino was a mid-engined, rear-wheel-drive sports car aimed at an audience that was on the lookout for a not-so-expensive Ferrari, with the ‘Dino’ badge in place of the prancing horse. It featured a 2.4-litre V6 engine that produced 192hp. It was initially sold only as a coupe, and was then later offered as a targa-topped version as well. The body was of steel construction and sported a longer wheelbase than the 206. A total of 3569 owners were the lucky ones; Sir Elton John was one of them too! The Daytona, unlike its more curvaceous siblings, was an unconventional design that boasted of a sharp edges and a sleeker silhouette. Up-front, it featured fixed headlamps incorporated in acrylic glass covers until later in 1971, when retractable pop-up twin headlamps showed up. 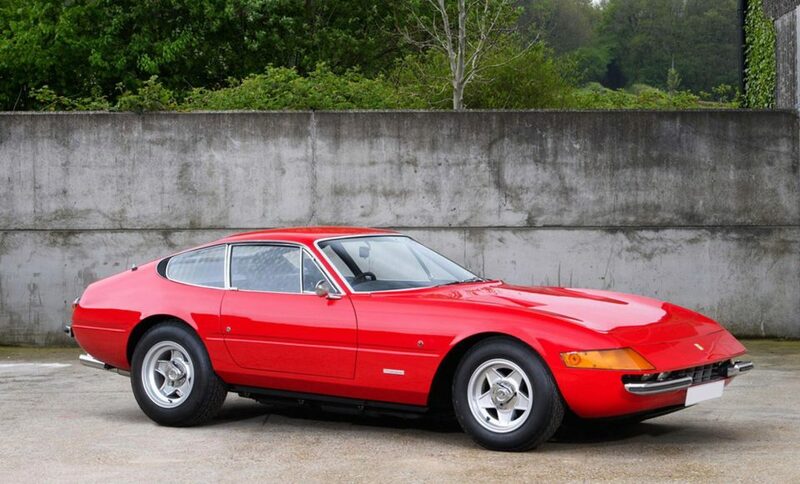 It was a front-engined, rear-wheel-drive GTB featuring a 4.4-litre Colombo V12, mated to a 5-speed manual transmission. It also had four-wheel independent suspension with coil springs and wishbones. Styled by Pininfarina, it was nothing short of gorgeous to behold. 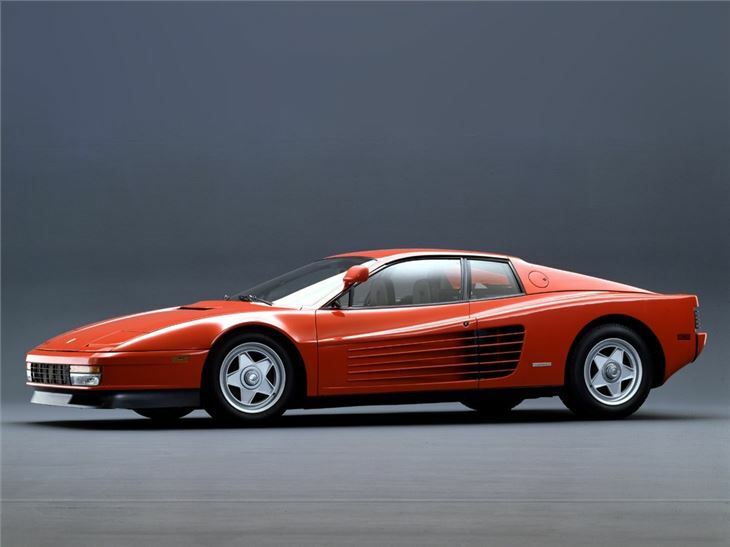 The Testarossa was the successor to the Berlinetta Boxer and featured a rear mid-engine, rear-wheel drive layout. Power came from a 4.9-litre, flat-12 engine from Ferrari and produced 390hp. 0-100kph was dealt with in just 5.3 seconds, while the top speed was a staggering 290kph. Ten thousand examples – the 512 TR and F512 M models were produced from 1992 to 1996. The extended slats along the doors which helped channel air into the engine have remained a signature Testarossa design element. Ferrari’s F40 was created to celebrate Ferrari’s 40th anniversary and was given the green signal by none other than Enzo Ferrari himself, making it the last model ever to be signed off by him. The F40 was Ferrari’s biggest feat at the time – as it was the most extreme, most expensive and most powerful Ferrari ever made. Only 1311 cars were produced for some of the most well-heeled back in the ’80s and ’90s. It featured a 2.9-litre, twin-turbocharged V8 capable of 471hp with power being sent to the rear wheels via a 5-speed manual. Nick Mason from Pink Floyd has one in his vast car collection too. Finally a supercar named after its founder – the Enzo was the ultimate 12-cylinder, mid-engined berlinetta supercar. 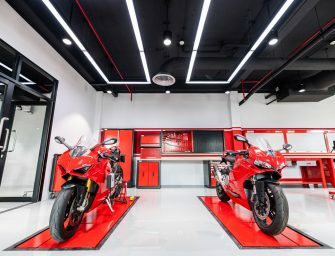 It was created with the help of Formula 1 technology, using a carbon-fibre body, ceramic composite disc brakes, and F1-style electrohydraulic shift transmission. 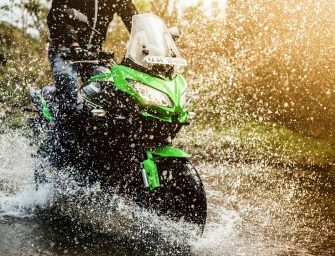 It also featured traction control and active aerodynamics. All of 651hp was sent to the rear wheels via a 6-speed semi-automatic gearbox. For the first time, a road car featured LED lights on the steering wheel signalling the driver when to execute timely gear changes. 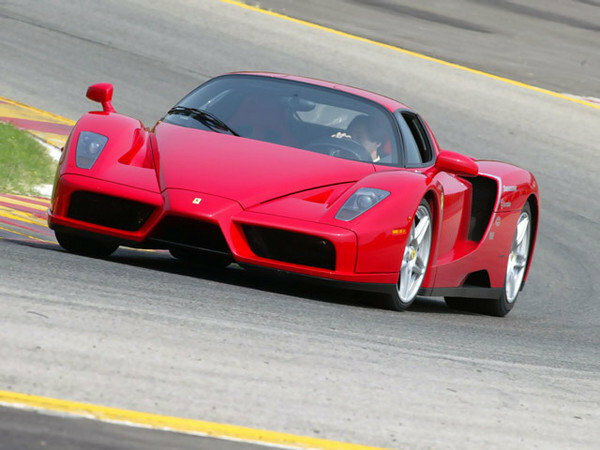 The Enzo could accelerate from 0-100kph in just 3.15 seconds. Oh, and Nick Mason had one of 400 ever made too. 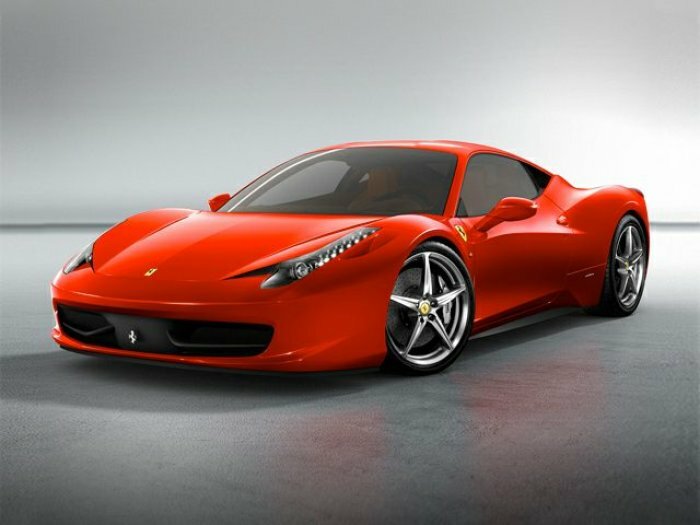 Arguably the most beautiful modern Ferrari to be made, the 458 Italia has captured the hearts of many. It replaced the F430 and was first unveiled at the Frankfurt Motor Show in 2009. Ferrari infused F1 knowledge into the 458 Italia, making it one of their most technologically advanced models made. Powered by a 4.5-litre V8 capable of 562hp and 540Nm of torque, it managed 0-100 in just 3.0 seconds, with a top speed of 340kph. 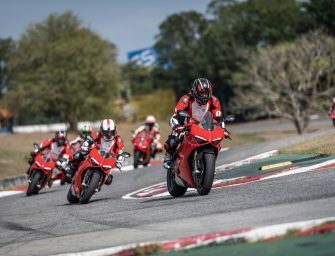 In order to help improve the car’s cornering and straightline acceleration, it was equipped with an E-Diff and F1-Trac traction control systems. Power was sent via a 7-speed dual-clutch auto transmission. The Ferrari, or “LaFerrari” in Italian is the company’s latest, most advanced hypercar that also incorporates hybrid technology. It endows a 6.3-litre V12 that produces 789bhp and an additional 161bhp from HY-KERS unit, taking it up to a total of 950bhp! 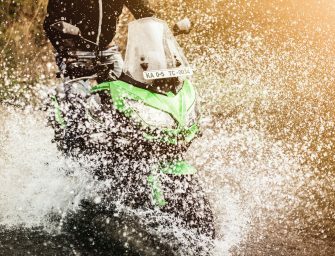 Power is sent to the rear wheels via a 7-speed dual-clutch transmission. It is also equipped with carbon-ceramic Brembo discs all around. A host of electronic nannies govern the LaFerrari – like ESC, high-performance ABS, EBD, E-diff third-generation electronic differential, EF1-Trac F1 electronic traction control integrated with the hybrid system, and the works! A top speed of 349kph has been claimed with a 0-100kph time figure of 2.4 seconds. Only 500 examples of the coupe are being manufactured, with 210 examples spared for the Aperta (spider) version.